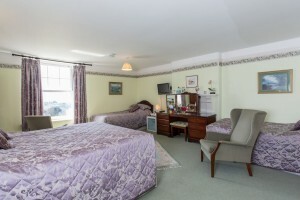 This wonderful bedroom has a luxurious King Size double bed and two Single beds. This provides for double, triple or family accommodation. 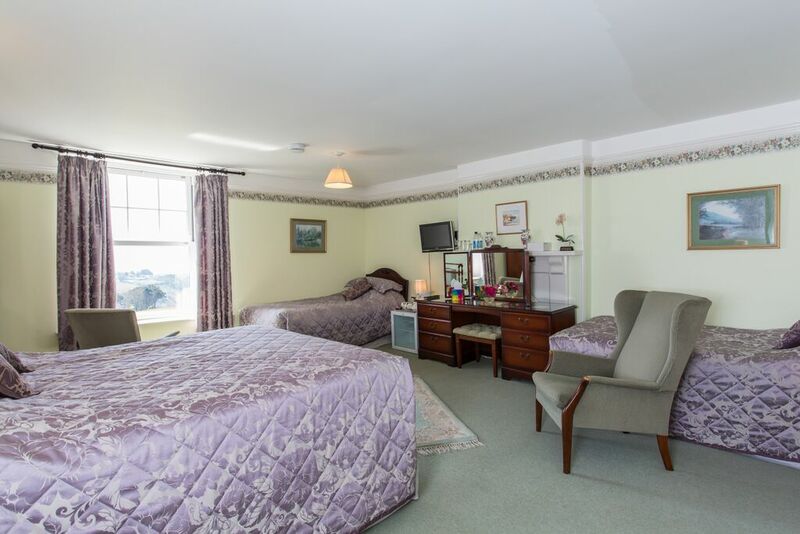 This excellent room boasts excellent views across our picturesque Cornish countryside to Looe, Looe Island and the sea beyond. 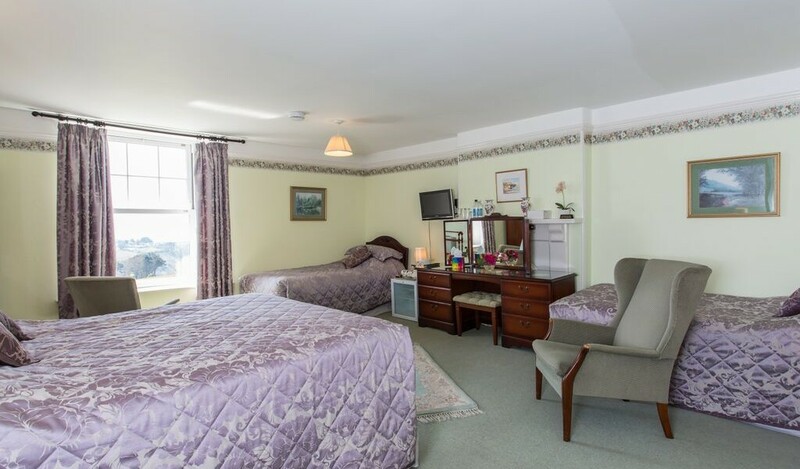 Furnished with a wardrobe, large dressing table with stool, 2 bedroom chairs and chest of drawers. The fully equipped en-suite has a walk-in shower and shaving point.